Features thought to be very important when choosing content and endpoint security solutions. Features thought to be “very important” when choosing content and endpoint security solutions. 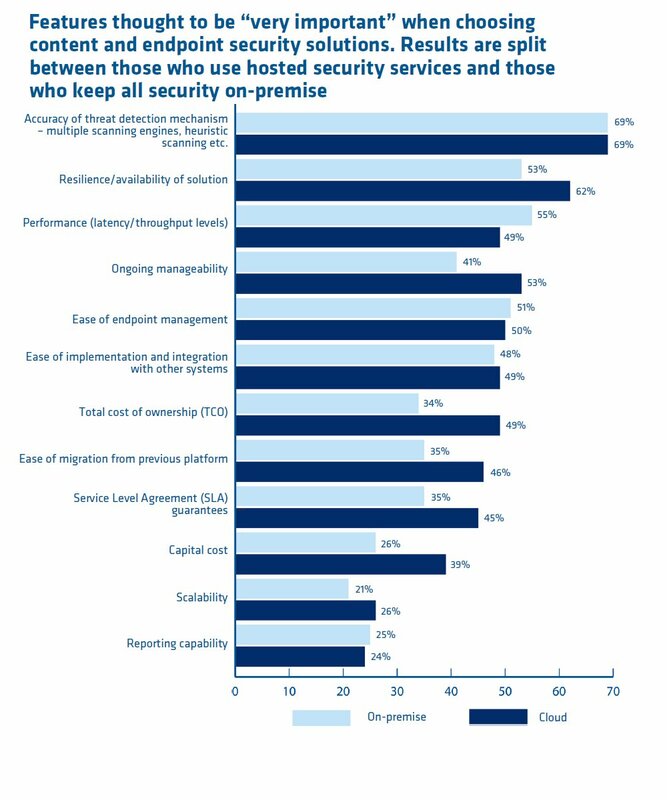 Results are split between those who use hosted security services and those who keep all security on-premise.